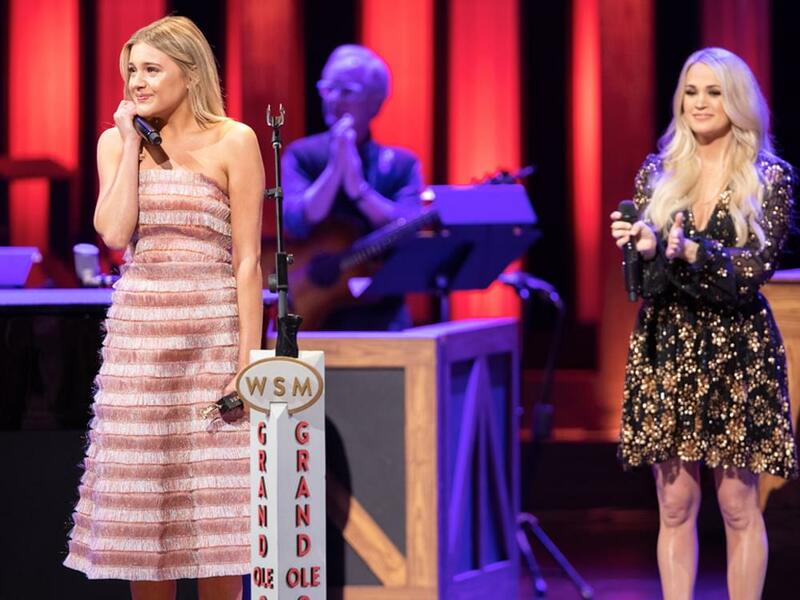 After Little Big Town invited Kelsea Ballerini to join the Grand Ole Opry on March 5, Carrie Underwood inducted the Tennessee native on April 16 in front of a packed Opry House. Earlier in the night, Keith Urban made a surprise appearance to deliver congratulations to Kelesea and to perform “Blue Ain’t Your Color.” Later in the show, Vince Gill surprised the audience yet again by joining Del McCoury Band during the group’s portion of the show. Watch Carrie induct Kelsea below.